Explore our business listing and discover exceptional accommodation and entertainment destination in the Greek islands and mainland. Refer a friend to 1000.gr today and earn a variety of bonuses and rewards. When your friend books their first hotel or restaurant via 1000.gr, you’ll get discount coupons, booking discounts and other importnat rewards in your account for your next booking. It’s as simple as that. The more friends that are approved and proceed to an online reservation with 1000.gr, the more rewards you can earn. With our Refer a Friend Program, you get rewarded for bringing a friend or family member to 1000.gr. 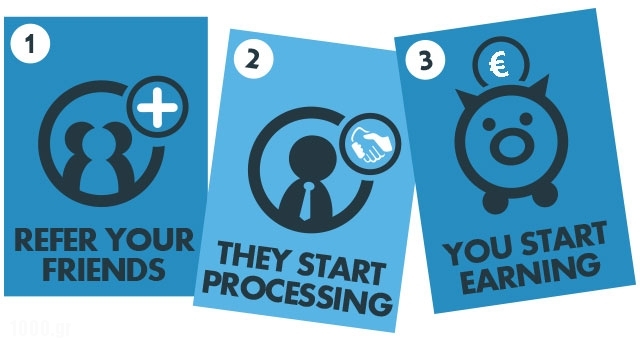 The person you refer also gets a reward – it’s a win-win situation! 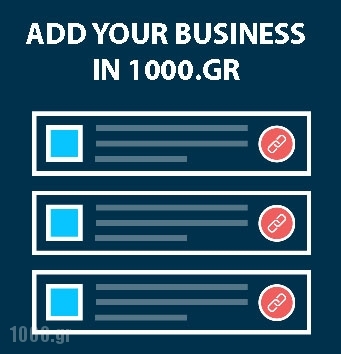 You’ll both get significant discounts (in the form of a credit applied to your 1000.gr account) when a new customer referred by you accepts the referral. Referral credits can be used to pay for your monthly service, including your plan and any add-on features you choose. First, navigate through our small-medium sized hotels and restaurants listings in the Greek islands and mainland, make the right choice and proceed to your booking. Then, spread the word! Help your friends or family members to do the same. It’s super easy, too, to share our accommodation and entertainment listings via Facebook, Twitter, and email. Third, get rewarded! Because we want to reward you for signing up and booking with us, we’ll give you important discounts for your next booking. Additionally, you can earn significant discounts each time you refer a friend who signs up and book a hotel or restaurant via 1000.gr. Plus, you’ll become eligible for a wide range of great rewards and booking commission returns as a result of following your good advice in booking with 1000.gr! Finally,there is no limit to the number of friends you can refer. Every friend you refer, you get rewards. Unlimited. What are you waiting for? Start now! Booking with us and earn exclusive rewards, bonuses and discounts just for sharing a way to explore small or medium sized accommodation and gastronomic destinations in the Greek islands and mainland!